Former UCI president Hein Verbruggen has rejected suggestions that the governing body shielded Lance Armstrong from detection, issuing that denial as part of a long statement released yesterday defending his reputation. The Dutchman, who was UCI president between 1991 and 2005 and who remains honorary president of the organisation, has insisted that no rider was immune from punishment if they committed doping violations, including the Texan. “The UCI has never protected Armstrong. Any decision on Armstrong and any other racer has been taken in accordance with established facts and scientific means available at that time,” he wrote in the statement, which was published on Sunday by Tuttobici. Verbruggen’s reputation has taken a knocking in recent years, not least because of the USADA Reasoned Decision and the questions it cast on the UCI. The Dutchman was previously friendly with Lance Armstrong and defended his reputation for many years, but now voices frustration with him. “I recently wrote to Lance Armstrong to express the disgust aroused in me by the cynical game he plays, in refusing to make a public statement to refute the allegations made by his teammates, Floyd Landis and Tyler Hamilton, who had said that they had nothing to fear if there were positive results, because he could ask the UCI to take matters into its hands and cover their positivity,” he wrote. “From what I understand by reading their testimonies, Armstrong had told them he was positive, even though no evidence of a positive test has never been produced. Verbruggen said that he is frustrated because when the allegations were first published, he wrote an email to Armstrong and received a denial then as to the claims of Landis and Hamilton. “I asked him if he had made those statements to his teammates, emphasizing the seriousness of his words and the damage it would cause to the UCI, to my and my integrity and reputation of the anti-doping laboratory in Lausanne,” he stated. However he described as ‘really very painful’ that Armstrong had not replied to his recent letter, nor to speak publicly about what he wrote in that 2011 email. Verbruggen claimed credit for the fact that his former team-mates were busted during their careers, and also conceded that the UCI had made an error of judgement. “Let us not lose sight, then, the fact that Floyd Landis and Tyler Hamilton, who are now applauded for their courage, have been exposed and sanctioned by the UCI. And without the UCI their deception would never have emerged,” he stated. The governing body has come under a lot of flak for accepting large sums of money from Armstrong. That plus the claims by Landis and Hamilton of a hidden positive test for the Texan in the 2001 Tour de Suisse raised suggestions of a bribe; the UCI has vigorously denied this, as did Verbruggen, but the latter now concedes an error was made. In 2011 Verbruggen was quoted by AD.nl as stating that the American ‘never, never, never doped.’ He denied that yesterday, claiming he had been misrepresented. He also denied previous suggestions that the two were close, claiming that this was an invention of the press. “Much has been said and written about my ‘friendship’ with Lance Armstrong,” he said, then suggesting that photos of himself and the Texan together have presented an incomplete picture. “The thousands of photographs that portray me with other athletes seem to be, by strange coincidence, to have all disappeared. Verbruggen’s letter said that he had told McQuaid on June 1st 2012 that he had decided to walk away from the world of sports, including cycling, and that he wanted to enjoy his retirement. In doing so, he is playing down suggestions that he still pulled the strings in the UCI, something that both he and McQuaid have denied repeatedly, but which a sizeable proportion of those within the sport felt was the case. 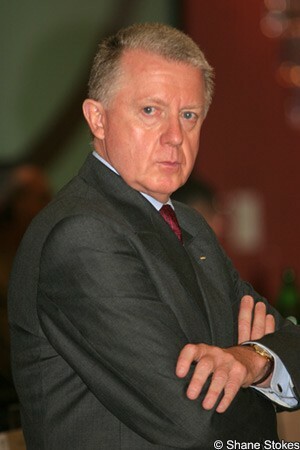 Verbruggen said that he never received a salary for his work in the UCI, including the presidency. He said that he did receive ‘reasonable and modest’ expenses which helped him to cover the cost of living of relocating to Switzerland. However, besides that, he insisted that nothing else was received. “I have never accepted or received any commission or other payment related to my role as president,” he said. His dismissal also presumably refers back to the 2008 report by the BBC, which suggests that $3m (£1.5m) was paid by organisers of the keirin races in Japan in the 1990s to the UCI. The event was subsequently included onto the Olympic Game profile in 1996. It’s clear that Verbruggen’s reputation has taken a pounding, and will be under scrutiny in the months ahead when the UCI, under new president Brian Cookson, allows a new Independent Commission to investigate what went on in the past. The outcome of that will shape how history perceives him, but his statement yesterday makes clear that he feels he did nothing wrong during his tenure, and brought a lot to the sport. He rejects anyone who finds fault with how he ran things. “The fact that journalists and self-proclaimed ‘social media commentators’ attack without understanding the UCI that are attacking the integrity of those who paved the way in the fight against doping and enjoys an impeccable reputation, is frustrating for me and unacceptable. “I have much to say on the subject, but I prefer to let the facts speak for themselves. Many of the charges levelled against the UCI and against me on this topic have already been answered and I will not go back. “In March 2002, in light of the Festina affair, the Court of Appeal of Douai, after a thorough investigation and in accordance with the opinion of the public prosecutor, concluded that the UCI has done everything in its power in combating doping.